Ted T. Rial, 88, of Hamburg, died Sunday, January 20, 2019. Mr. Rial was a native of Ladelle and a resident of Hamburg for the past 63 years. He served in the Arkansas National Guard for 26 years, having retired in 1973. 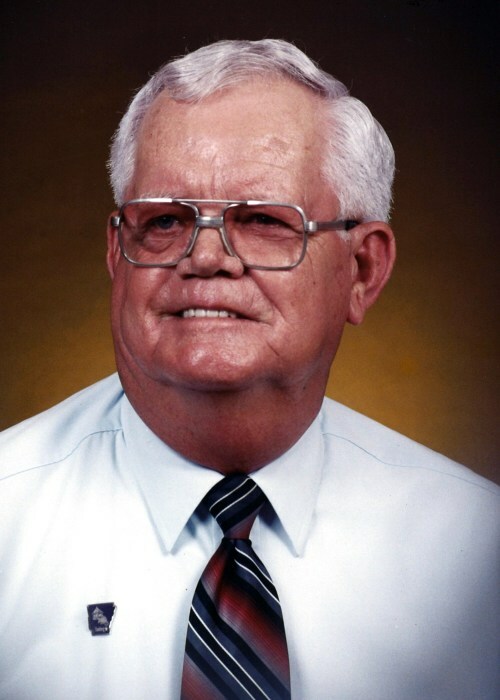 Mr. Rial worked as the Produce Manager for Kroger for 27 years, was a Bailiff for Ashley County and was a former president of the Lone Sassafras Cemetery Association. He was a member of the Gardner Baptist Church for 55 years and loved his church and church family. Mr. Rial enjoyed studying the genealogy of his family, keeping his yard well maintained and he spent many hours at various cemeteries cleaning “vintage” headstones. Mr. Rial never met a stranger and enjoyed talking to people. He loved his family, and all of his grandchildren were very dear to him. Papaw Ted to his grandchildren and Papa Ted by many others, he will truly be missed by all who knew him. He is preceded in death by his wife, Vera Dye Rial in 2014; a grandson, Jade Clark Rial; his parents, Roy and Gracie Keeton Rial and two brothers, Percy Rial and James Rial. He is survived by his children, Shirley Rial Naron of Hamburg, Brenda Rial Houston and husband, Jim, of Mayflower, Randall Rial and Danny Rial and wife, Vicky, all of Hamburg; his sister, Norma Lee Harrell of Bartlett, Tennessee; seven grandchildren, Paulette Bowden, Tina Wallace, Jay Jay Martin, Tess Gray Akers, Ted Gray, Kevin Rial and Lauren Gardner, 15 great-grandchildren, 10 great-great-grandchildren and a host of nieces and nephews. Funeral services are 2 p.m., Wednesday, January 23, 2019, at the Gardner Baptist Church with Bro. Bobby Pennington officiating. Burial will be in the Lone Sassafras Cemetery. Pallbearers are Earl McCrory, Bill Kersten, Timmy Chavis, Tyler Hursey, Jordan Rial and Jerry Breedlove. Memorials may be made to the Lone Sassafras Cemetery Association, c/o Mr. Clarence Wells, 931 Lone Sassafras Road, Monticello, AR 71655 or St. Jude Children’s Research Hospital, 501 St. Jude Place, Memphis, TN 38105. Visitation will be 6-8 p.m., Tuesday at the funeral home.